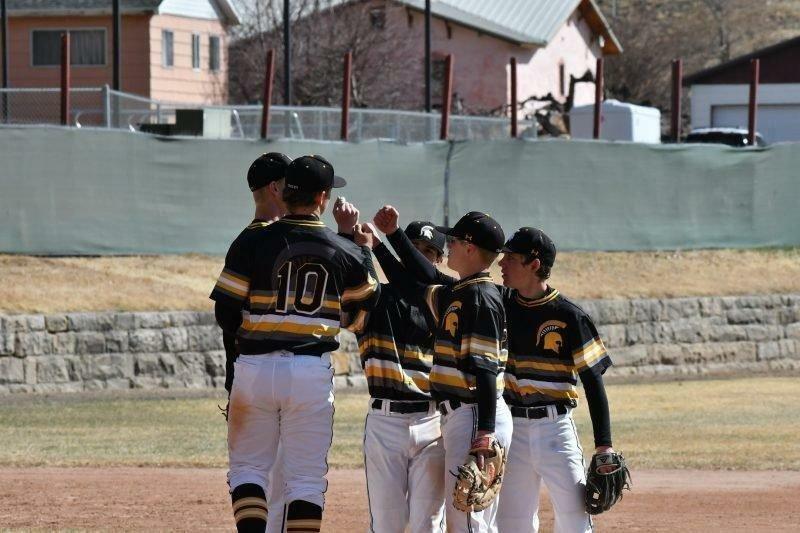 Despite being out hit four to six, the Emery Spartans took advantage of eight Manti errors to take a 7-2 win Tuesday afternoon in Castle Dale. The win keeps the Spartans in the thick of the Region 15 hunt, sitting just three games out of first place behind Richfield, South Sevier and Grand. Koda Alton had the only extra-base hit in the game, a triple that scored a run. Easton Gordon had two RBIs despite going 0-3. Jesse Barnett, Colton Willson and Cade Brazier had singles on the day as well. Emery scored two runs in the first inning, but Manti tied it up at two in the top of the third. The Spartans responded with three in the bottom half of the inning to reclaim the lead that they would never relinquish. Emery rounded out the scoring with another two runs in the sixth. Cade Brazier allowed just two earned runs in the game for the complete-game win, evening up his season record at 2-2. Emery (10-6, 3-4 Region 15) will travel to American Leadership Academy on Wednesday before a road tilt at Manti on Friday.